Tours go from 9 am-3 pm, 7 days a week. Many people who visit South Florida want to see the everglades. This is wilderness where people can see everything from a Wood Stork to a manatee, alligators as well as a wide range of other animals unique to this part of Florida. It has mangrove and cypress forests and a wide range of sawgrass marshes. 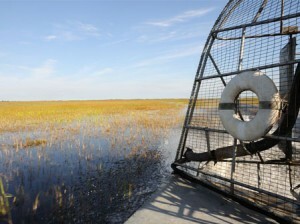 One of the best ways to see all that the everglades have to offer is by going on an Everglades Airboat Tour. The airboat tours offer people the perfect opportunity to glide over the water quickly and see the variety of enchanting animals and plants. 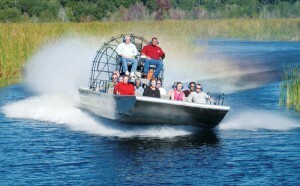 Everglades Airboat Tours are given by people who are properly trained and experienced. During the airboat tours people are able to hear stories about how the Seminole Indians and Florida panther at one time lived together in this untamed land. There is a lot of history people can learn about this special area during boat tours. This part of Florida was formerly home to the Calusa Indians. These indigenous people thrived for hundreds of years prior to the arrival of the Spanish in 1513. By the 1700s there were almost no Calusa people left. They had perished from the diseases brought over from Europe. In the early 20th century past draining and dredging of the Everglade swaps was harming the area. Conservation efforts started in 1900, and it was designated as a national forest in 1934. Today it encompasses over 1.5 million acres and all the efforts to preserve this stunning wilderness have had some level of success. Since the environment is in a constant state of change the work continues. Boat tours are the best way to explore this treasured pristine area. It’s a place that is home to thousands of different types of unique plant and animal life. This land is where over 67 different threatened or endangered species struggle to survive. It’s a place where people can see both freshwater and saltwater fish, amphibians, reptiles and more. 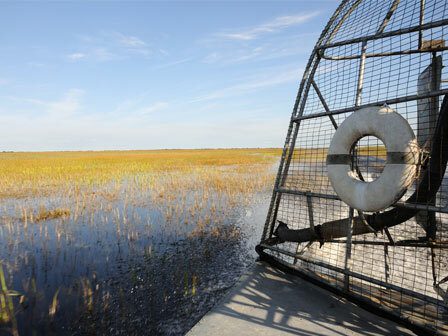 Taking an air boat tour is a way to see a special wilderness area without impacting nature. 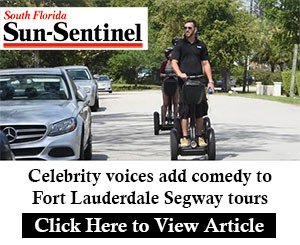 It’s a wonderful experience that can be easily provided by Ultimate Florida Tours.